For many of its generation, EASY RIDER captured the aimlessness, restlessness, and nonconformity that typified the spirit of the times. On a cross-country trip to discover, or perhaps redefine, America, bikers Wyatt (Peter Fonda) and Billy (Dennis Hopper) soon find that their carefree lifestyle is a point of contention for the more orthodox “native” citizens they encounter. 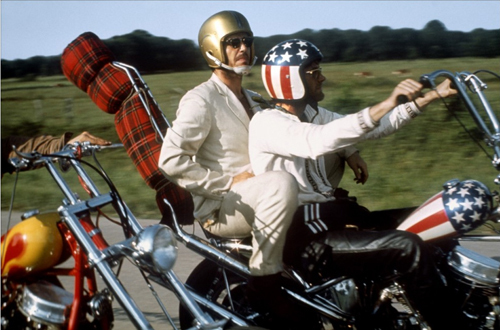 EASY RIDER is famed for its soundtrack, which includes Hendrix, Dylan, and The Byrds to name a few; it was also the movie that made Jack Nicholson a star. “In the middle of a sleepless Mississippi night, a patrolman (Warren Oates) finds a stiff of no little importance: it is (or was) the wealthy industrialist whose new factory was going to put the small town of Sparta on the map. His widow (Lee Grant) puts it on the line to Gillespie (Rod Steiger), the local police chief: no culprit, no factory. But coming up with a suspect is more than this bulldog, adept at keeping blacks in their place and little else, can handle. 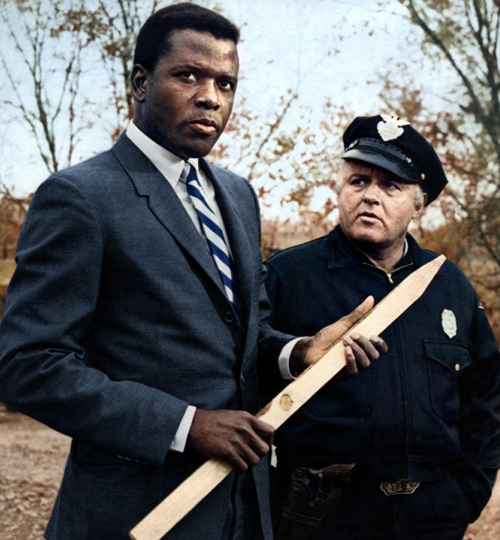 Enter Tabs (Sidney Poitier), a Philadelphia homicide expert who proceeds to undermine Gillespie, dizzyingly, putting him in his place with a brilliant plan of attack.”—Pacific Film Archive. 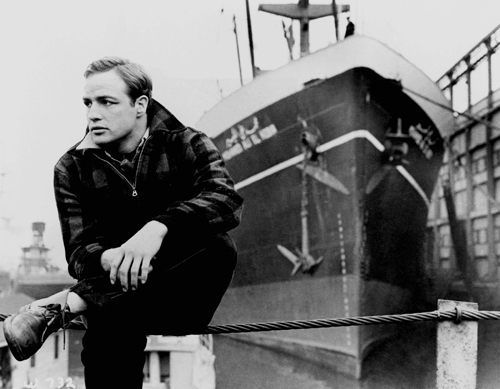 Kazan and screenwriter Budd Schulberg’s unacknowledged apologia for their participation as “friendly witnesses” at the House Un-American Activities Committee (HUAC) hearings, ON THE WATERFRONT is a blunt portrayal of life on New York’s docks and the role of gangsters in the union. Marlon Brando is ex-boxer Terry Malloy, who must choose whether or not to become a “stool pigeon.” Shot with stark realism by Boris Kaufman, this gritty depiction of power and extortion creates a potent allegory for the times, and is brought to life with a superb cast. Whether interpreted as a liberating spiritual journey, a philosophical meditation, or an outright condemnation of the nature of mankind, 2001: A SPACE ODYSSEY remains a cinematic milestone. Kubrick collaborated with respected science-fiction writer Arthur C. Clarke to articulate a futuristic vision of human experience that spans the millennia. With groundbreaking visual effects, a haunting musical score by György Ligeti, and sublimated performances by Keir Dullea, Gary Lockwood, and Douglas Rain as the voice of HAL 9000, Kubrick explores the evolution of man’s relationship to his machines. 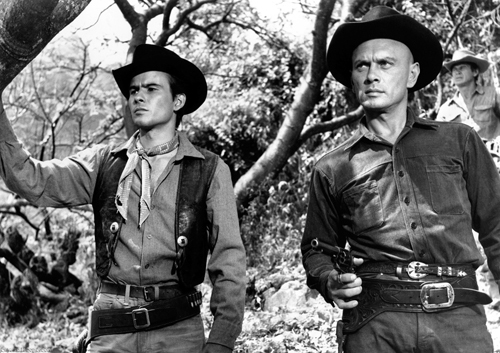 When a gang of scavenging, bloodthirsty outlaws threatens a small peasant village, guns-for-hire Chris and Vin (Yul Brynner and Steve McQueen) are recruited to gather a team of worthy triggermen to mount a defense. Boldly drawing on Akira Kurosawa’s revered masterpiece THE SEVEN SAMURAI, Sturges transforms the traditional Western into the perfect vessel for Kurosawa’s themes of honor and savagery, played out in suitably tense action set pieces. Co-starring Eli Wallach, Charles Bronson, Robert Vaughn, and James Coburn. Ed Begley, E.G. 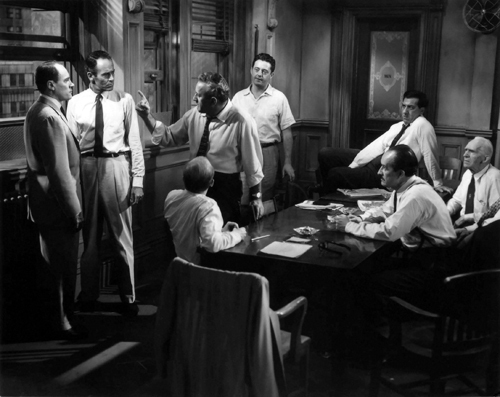 Marshall, Jack Klugman, Jack Warden, Martin Balsam, and Lee J. Cobb are part of a jury. Henry Fonda is desperately trying to convince them not to go for the obvious verdict in the murder trial of a young boy. The jury holds the life of the accused in one hand, and a responsibility to the victim in the other. Whom will justice serve? The camera never leaves the jury room in one of the best realist films of the 1950s. Howard Hawkes created a metaphor for expansionist greed in this epic drama of one man’s relentless search for command of the environment. John Wayne stars as the cattle baron who turns a vast area of wasteland into a beef empire, only to find himself stymied by the untenable frontier. His push to get his cattle to market in Missouri causes friction in his personal relationships and ultimately precipitates a clash with his son, played by Montgomery Clift in his first screen role. 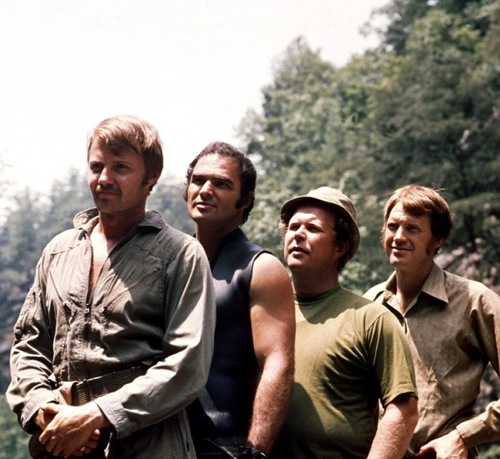 James Dickey’s novel about four Southern businessmen who get more than they bargained for on a weekend canoe trip is given disarmingly powerful treatment in Boorman’s film. 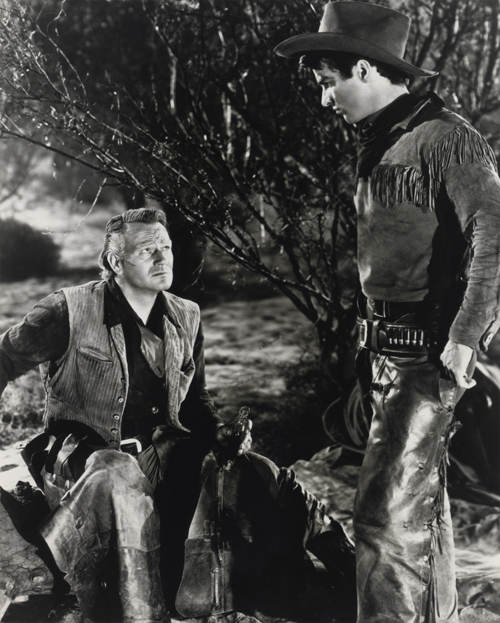 Exploring man’s inhumanity to man in a context of wild nature, he exacts excellent performances from Burt Reynolds and Jon Voight, not to mention two of the most terrifying villains in screen history, Billy McKinney and Herbert “Cowboy” Coward. “A magnificent visual experience and an assault on the senses fully as brutal as the river trip.”—Time Magazine. 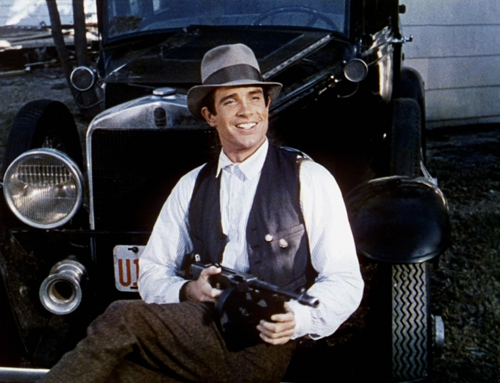 Rich with opposing moods and forces—comic and brutal, realistic and fanciful, simple and complex—Penn’s legendary film features winsome performances by Warren Beatty, Faye Dunaway, Estelle Parsons, Michael J. Pollard, and Gene Hackman. Together they rhapsodize the Barrow Gang—a bumbling bunch of real-life bank robbers that terrorized the rural South in the 1930s, gaining an unlikely public following as well as the fury of the law.